The word Hashtag is more than popular these days thanks to social media and people uploading their Hashtag moments all over the web. However, it is sometimes essential to get the true rating of your creativity and the Hashcam app is all about that. If you have a hashtag moment just upload it and take the challenge to see how much you score on the love meter board of other users. 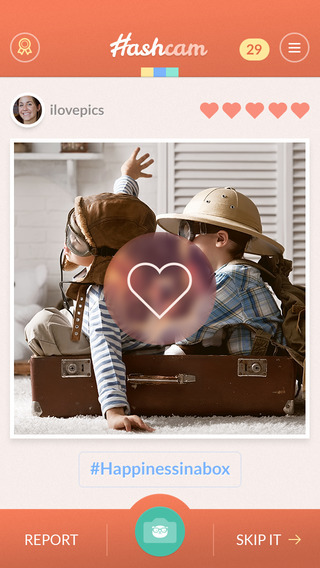 You can also rate the #hashtag moments of other people and judge creativity score of each and every picture you view. It is all so simple. Just view a picture from the #greatidea of the other people and rate it. You can even skip rating the picture. Hashcam, presented by PhD Labs is an innovative itunes app that is available for free. It works as a social media where you can take up challenges. Your vote will always count no matter you love the image or hate it. You can create your own challenge which can be private that is shared among friends or public. You can ask people to contribute their thought on the moment you upload. That’s not all. There is a Panda challenge in the game where the world can play together on the same platform. There are chances of winning prizes in the challenge and you can even get global certificate for your creativity. Hashtag app lets you create your own #gratiidea and share it with the world or the group of friends you have on the app. There is a panda challenge in the app which is exciting and it is open to anybody who wants to join. The app lets you share your creativity with the world. You can upload your moments of creativity and see how the world responds to it. The challenge can be either private or public. Your vote for a picture will always count. You can give any rating to the picture based on its merit. You can join challenges that are already on and have great fun out of it. The app provider believes on privacy and security of the app user. That is the reason why, whatever happens on the app, stays in it. However, if you want to share your picture on any other social network, you can do it quite easily. 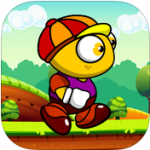 The app requires iOS 7.0 or later and it is compatible to iPad, iPhone and iPod touch. The version 1.015.121 is available for free and it takes around 16 MB space on your device. 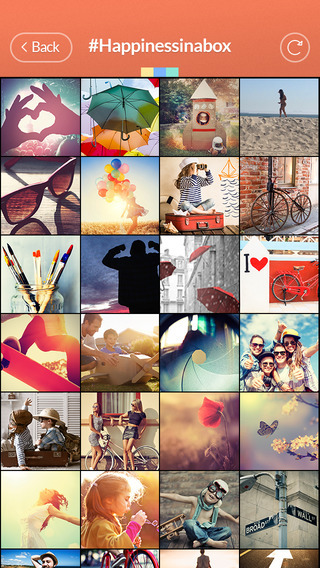 The app tests your creativity and it is different from other social networking apps. You need an active internet connection to use the app. 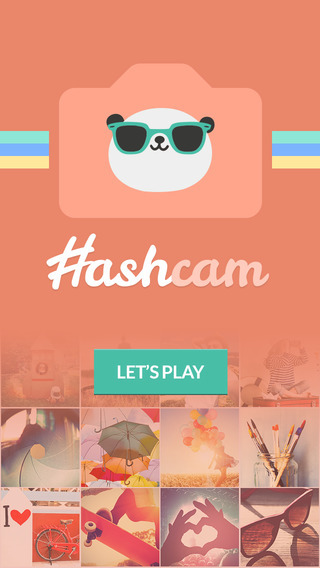 Summary: Hashcam is a new app on the iTunes store which lets people start challenges by uploading picture and participate in challenges to judge the creativity of others. Good: The app is going to challenge your creativity which in turn is going to improve the same. Bad: There is nothing bad reported about the app as of now.